Dubai is well-known for its various famous destinations, out of which some are Chinese restaurants as well. Similar is the case of Zabeel Park at Sheikh Zayed Road, as this wonderful recreational site has an affordable restaurant that serves traditional Chinese, Indian and Thai fare. The name of this eating place is Zen Restaurant. Because of three different cuisines, the menu of Zen Restaurant becomes quite extensive. As a result of that, guests can choose from a wide array of dishes and these include some signature dishes as well. 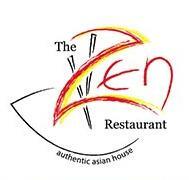 The Zen Restaurant offers a lot of services apart from serving delicious and high quality food. Read on and learn more about it. - Guests can devour scrumptious and authentic Chinese, Indian and Thai cuisines. - Guests will find both veg and non veg food. - Offers free home delivery service. - They also offer credit card payment facility on delivery. - People in Dubai can also place their orders online at this bistro. - Or they can avail its take away service to savour delicious food in their office or home. - Also offers catering service for private events and functions in Dubai. To see the full menu of The Zen Restaurant, click here. The Zen Restaurant opens daily and its regular operational hours are from 11:00 am to 3:00 pm and 6:00 pm till 11:00 pm. Zabeel Park, Sheikh Zayed Road, Dubai, United Arab Emirates. World Trade Centre Metro Station 1 is 1.5 kilometres away from The Zen Restaurant if a person chooses to walk and he or she can bridge this gap in roughly 18 minutes. However, to do so, a patron should head in the northeast direction after exiting from this metro station and then turn slight left towards 2nd Za'abeel Road/D 73. Afterwards the patron should make a sharp left turn onto 2nd Za'abeel Road/D 73, which will bring him or her to a roundabout, from where they need to take the second exit and then turn slightly left in order to find the destination. Directions from World Trade Centre Metro Station 1 to The Zen Restaurant. Bus users should use any of these bus numbers 10, 21, 27, 29, 61, 88, 91A, C15, C26, X92, X10 and X94 in order to get to Trade Center Interchange 3 – Dubai bus stop that is just 750 metres away from The Zen Restaurant and on foot this journey can be completed in approximately 8 minutes. If a bus user heads south from this bus station, then exits the roundabout and turns slightly right, he/she will reach the destination after covering a few metres distance. 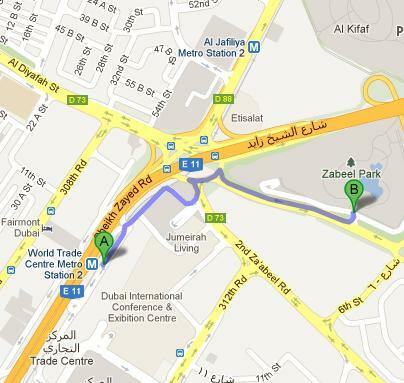 Directions from Trade Center Interchange 3 – Dubai to The Zen Restaurant.